The Investment in Affordable Housing (IAH) for Ontario Program is a federal and provincial program to provide funding for the creation and repair of affordable housing. The IAH is based on the principles of Ontario’s Long-Term Affordable Housing Strategy and is a continuation of the Canada-Ontario Affordable Housing Program (AHP). Funding for the program is renewed each April 1st and has to be committed by December 31st of that year.  Grey County will be delivering three components of the program; the Ontario Renovates and the Homeownership Program and the Rent Supplement Program. Ontario Renovates will assist low to moderate income home owner households to repair their home and increase the accessibility of their home through modifications and adaptations. Major repairs could include but are not limited to heating systems, doors and windows, roofs, electrical systems and plumbing. Modifications for accessibility could include ramps, handrails, chair and bath lifts, cues for doorbells and fire alarms. Forgivable loans of up to $15,000 are provided for repairs and secured with a promissory note. If the property is sold within 10 years the loan is due back to the County. The forgiveness of the funding occurs at an equal rate over the 10 years. Any funds returned will be put in a revolving fund for Ontario Renovates. Grants are provided up to $5,000 for accessibility modifications and adaptations. This program is designed to provide renters with a loan, up to 5% of the purchase price, to assist them in purchasing their own home. The program assists eligible renters in the purchase of a home that does not exceed the purchase price of limits found listed on the information sheet. Applicants must be eligible for a mortgage and cannot exceed the maximum household income listed on the application. Rent supplement will provide households with a monthly rent geared-to-income subsidy. The subsidy will be the difference between what a household can afford and the actual market rent of a modest unit. The subsidy will be paid directly to the landlord. All funds for the Rent Supplement Program have been exhausted. The Secondary Suites Program provides a forgivable loan in the amount of up to $25,000 for renovations creating an affordable secondary suite on a property. The forgiveness period for the program is 15 years.